17 Apr 2014 22 Apr 2014 wcalvinandersonmedLeave a Comment on Let’s Help NYS and Local School Systems to Help Our Children! Let’s Help NYS and Local School Systems to Help Our Children! Our children “must face off on some type of academic rigor” sooner or later to compete with children from other industrialized nations. 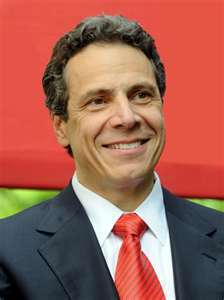 We are very fortunate that our children live and learn in New York State and have a Governor like Andrew M. Cuomo! New York State in many ways leads the nation in keeping up with educational improvements for our children. New York City is the nation’s largest school system with the most diverse student population and the rest of the state has “world-class” local school efforts that prepare learners to run Wall Street, the United Nations, food, sports, theatre, music and entertainment industries and large and small businesses and priceless community based organizations. New York State won a national Race To The Top (RTTT) competition and award provided by Secretary of Education, Arne Duncan the educational leader in the Obama administration based on our state’s plans to improve student achievement. Now, we have to go one step further than just being proud of that achievement. We have to aggressively find out about the benefits that RTTT offers each student and family to support success in the future. Our students and parents this 2013-2014 school year need to understand how the new educational standards called “Common-Core” will change classrooms this year. Ask teachers,guidance counselors, principals, superintendents, state legislators and congressmen about these fantastic goals. Use libraries and the internet to explore what the new US Common Core Standards are for competitive educational achievement. Everyone of us with children or not in our “world-class” regional community need to discuss how neighborhood schools are supporting the important educational goals of common-core standards in local classroom because we pay taxes and these standards make certain every child will be accounted for. Students need to be more serious about their futures today. Parents and leaders are working very hard to provide the best for them and perhaps they need to spend less time with entertainment devices and have a different attitude about educational success if they want to compete in the future with other young people from all over the world – who want to compete with them for good jobs right here in NYC, Westchester and the Hudson region of the US. There are many new “positive pressures” on our educational leaders and teachers this school year and students and parents have to do their parts and increase concern about what children need to know to succeed at grade level in the class room and on annual tests. Help our great state and local educators help us! Next Did You Know… Zero Tolerance for Bullying is in Full-Effect!